has announced the next product in its family of mmW Phased Array Antenna Innovator’s Kits, the AWA-0134, driven by the Anokiwave AWMF-0108 28 GHz 5G Quad Core IC with embedded functions for remote telemetry and low-latency steeringTM. 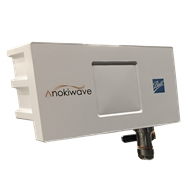 Anokiwave is an innovative company providing highly integrated IC solutions for mmW markets and Active Antenna based solutions. The AWA-0134 is a 28 GHz, 256-element, reconfigurable active electronically scanned antenna for 5G mm-wave communication applications. It is the first commercially available 256-element phased-array at 28 GHz to enable the development and measurement of radio links and channel models, as well as for rapid prototyping and testing of electronically beam-steered radio links through low-latency beam update rates. 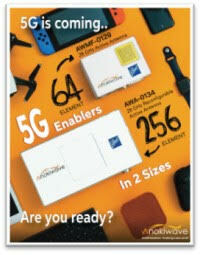 Anokiwave is one of the first companies to have ICs that enable 5G antenna makers to show a real-time 5G link and this product will further enable the OEMs to continue progress in their 5G rollout. 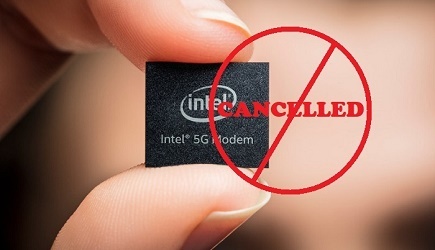 The array is based on their 28 GHz 5G Quad Core IC, and allows for real-time active beam-steering applications in a single 256-element or in a 4x64 element configuration that enables 4x4 MIMO testing. With full flexibility in the choice of waveform stimulus and timing-control, the array is another enabling technology product for the evaluation and development of 5G networks. Developed with Ball Aerospace for mmW 5G wireless markets, The AWA-0134 includes an integrated controller that can steer the beams to predetermined positions within a wide scan volume with minimal latency and system sensitivity. The AWA-0134 Innovator’s kits are available now. Customers may also license the technology for their own array development activities.